The Swiss mobile health and lifestyle navigation company dacadoo is recognized for Innovation as one of the Top 100 companies in the Global Digital Health 100 Awards 2014 from the Journal of mHealth. 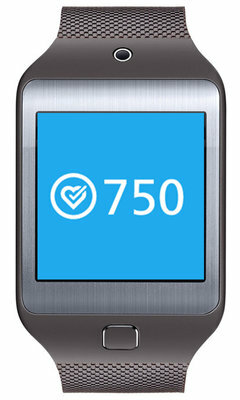 Zurich, Switzerland – The Swiss mobile health and lifestyle navigation company dacadoo is recognized for Innovation as one of the Top 100 companies in the Global Digital Health 100 Awards 2014 from the Journal of mHealth. dacadoo, an innovator in digital health technology, announced today it has been recognised as one of the top 100 global digital health companies in the Global Digital Health 100 Award as compiled by the Journal of mHealth. Reflecting the evolving importance of mobile technologies and digital solutions in the healthcare sector, the Global Digital Health 100 acknowledges the significant work being carried out, in this field, by pioneering organizations from around the globe. "This year has been amazing for digital health" said Matthew Driver, Managing Editor of the Journal of mHealth. "There are so many great companies producing really innovative and amazing products that are set to revolutionize healthcare delivery. We had a very difficult time narrowing the pool and selecting the final 100. dacadoo shows great promise and therefore deserves to be among the Finalists. We know that all the 2014 honorees will grow into some amazing companies that are sure to make an impact." The Award represents 6 months of research by the editorial team at the Journal, who considered the offerings and innovations from over 1,500 different mobile and digital health companies worldwide, before selecting the final 100. Peter Ohnemus commented proudly: “Mobile and digital health is still in the early days, and we’re very honored to get this prestigious award and be recognized as one of the innovators in this growing space”. The Journal of mHealth (published by Simedics Ltd in the UK) brings the latest professional developments in mobile and digital health technologies to healthcare and industry professionals around the world. Featuring, the Latest Industry News, Articles, Research, Industry Whitepapers, Market Reports, and Service Reviews. The publication targets healthcare markets on a global scale and is read by an international audience of readers.